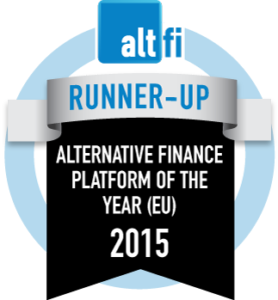 This year Bondora was honored with the Runner up award in Alternative Finance Platform of the Year (EU) 2015. “This award is proof of the hard work our team has been doing over the past years in building up a loan origination, credit scoring and servicing process that works across borders. We are also proud of being the only platform in Europe to make so much data available to our investors and general public on the loans that have been originated on Bondora”, says Pärtel Tomberg, CEO of Bondora. AltFinance News celebrates innovation in finance with their AltFi Awards 2015. Close to 100 platforms in the industry from all across Europe took part and over 5000 people participated in voting. AltFi is the world’s leading news site for the alternative finance space, which includes crowdfunding, P2P lending, marketplace lending and invoice funding. The AltFi Awards gives recognition to the whole alternative finance industry. Let’s celebrate and congratulations to all this year’s winners.